One of the most challenging projects in the Department of Energy’s nuclear cleanup program is hardly nuclear at all. The biggest concern in cleaning up and tearing down K-1037 is not radioactive waste but rather the classified contents of the big building once used to produce “barrier” — a secret component of the gaseous diffusion technology used to separate isotopes of uranium for use in atomic bombs and nuclear reactors. The principal hazards at K-1037 are “typical industrial wastes,” according to Anne Smith, a spokeswoman for UCOR, the Department of Energy’s cleanup manager in Oak Ridge. “There are no significant radiological contaminants in the building,” Smith said. 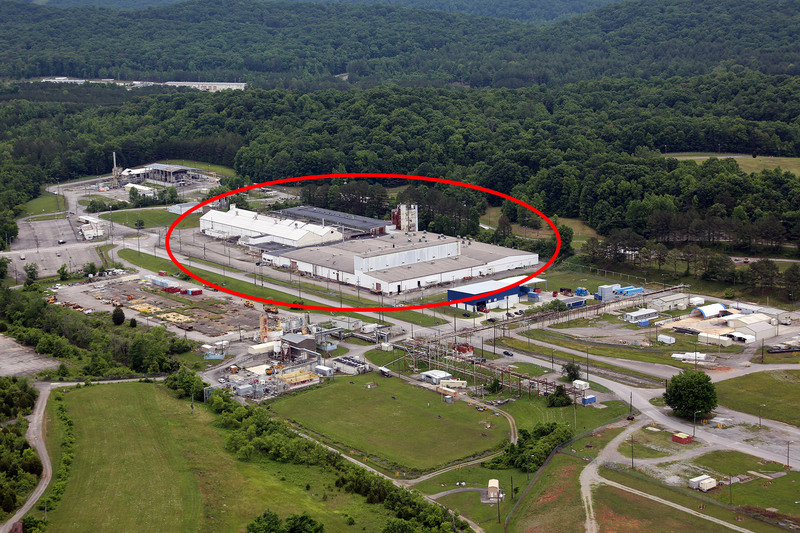 The challenge will be dealing with all the classified equipment and material inside the 380,000-square-foot building on the east side of the East Tennessee Technology Park — a sprawling site that once housed the nation’s largest uranium-enrichment complex. The decommissioning and demolition project is going to cost many millions of dollars, but the Department of Energy isn’t saying how much. “We are still working through the process to determine what is going to be required to successfully complete the project, so we don’t have an accurate estimate at this point,” Mike Koentop, executive director of DOE’s Office of Environmental Management said. There is still the potential for surprises. 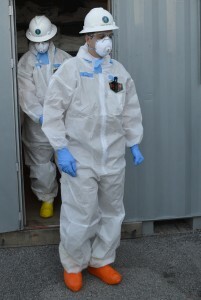 “We’ve had crews in there for several months, characterizing the building,” Sue Cange, DOE’s cleanup chief in Oak Ridge, said recently following a tour of the site with Mark Whitney, a top official from DOE headquarters in Washington. K-1037, like some of the other old and inactive buildings at the government’s Oak Ridge sites, was used as a sort of catch-all for stuff no longer needed. Cange said she wanted Whitney to get an up-close look at the building so officials in Washington would understand the difficulties. Those classification concerns will affect how DOE and its contractors deal with the equipment and how the building will be taken down. “It’s got a lot of complexities,” Cange said. The current schedule is for demolition of K-1037 in 2018, so that leaves two years for preparation, she said. It’s possible that the demolition activities could spill over in 2019, she said. Asked if DOE planned to chop up the equipment to eliminate the classified aspects, Cange said that hasn’t been decided. DOE’s Oak Ridge landfill for cleanup wastes is designed to accept classified materials, and Cange said the agency expects that at least some of the wastes — such as the building rubble — will be eligible for disposal there. This entry was posted in Cleanup, Oak Ridge EM, UCOR on December 26, 2015 by Frank Munger.